Earth, Wind & Fire Makes HSN Debut - Rock Fuel Media Inc.
“I think we cracked the code on this one.” That’s Andy Sheldon, chief creative officer of HSNi and GM of HSN Productions, talking after wrapping production of the Labor Day weekend HSN Live concert (Aug. 30) at Las Vegas’ Venetian Theater featuring Earth, Wind & Fire. “Weaving in new music with songs from one of the best catalogs in the world, and including hosts for the first time, showed how you can entertain and engage fans via live music in a monetized world,” added Sheldon, chief creative officer at HSNi and GM of HSN Productions. Sheldon collaborated with executive producer Barry Summers, director Milton Lage and set designer Andy Walmsley. The 90-minute live concert included 60 minutes on HSN TV followed by a special 30-minute encore performance of classic EWF hits streamed live across HSN’s digital platforms. In addition, Songza offered a special EWF/HSN playlist for subscribers during the week leading up to the show. Fans were able to pre-order an exclusive CD bundle of “Now, Then & Forever” — featuring lead single “My Promise” — plus a bonus CD of six greatest hits via HSN.com for $12.95. Approximately 10,000 units of the exclusive CD bundle were pre-sold by the end of the show. “It was just a good time to introduce our newer fans to new music,” said EWF original member Ralph Johnson of the album. Produced by fellow original Philip Bailey, the set—a fresh mix of the classic EWF sound that drew raves from the in-house audience—features songs written by the group, including third co-founder Verdine White. 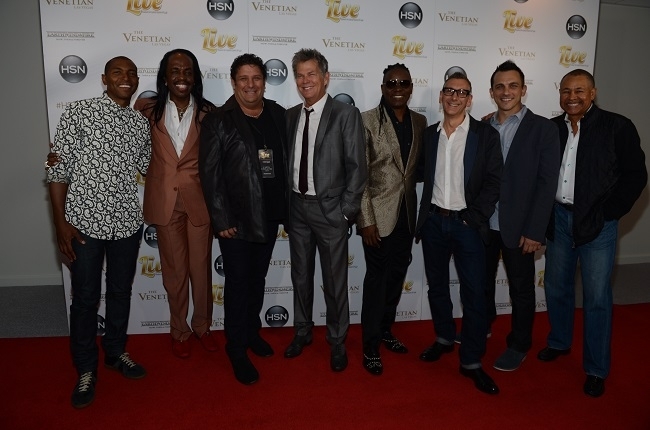 Noting “we still have a lot of energy that we don’t want to throw away,” White said EWF’s upcoming slate incudes a three-night, sold out stint at the Hollywood Bowl in mid-September, double dates in New York and Chicago and an October stint at London’s Royal Albert Hall.